Are you looking for a bore pump in Perth? Electric Motor Sales has a full range of bore pumps in stock and we can deliver them straight to your door. We can supply or source a bore pump to suit your needs. Below is a sample of the bore pumps we have can supply from our workshop in O’Connor. Pump sizes - 150mm / 200mm / 250mm. 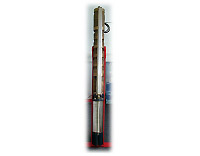 Submersible Motor Drive Unit - 5.5 to 185 kW. 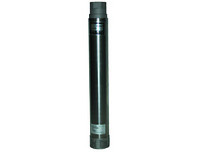 Pump Shaft - AS2837-316 Stainless Steel. Bearing/Stage Rubbers - Styrene Butadiene Rubber 80 - 85. Impellers - Zinc Free Bronze. Impeller Taper Locks: AS 2837-316 Stainless Steel (self locking). Impellers are moulded from polycarbonate and reinforced with glass fibre to ensure smooth water passage for minimum friction loss, and at the same time provide resistance to abrasive materials. With between 7 and 23 stages, they have been expertly matched to the power output of the recommended motors. For high-yielding bores, the best available pump is the Sta-Rite HighFlow. The impeller stack is of a floating design, so that individual impellers can move vertically to allow small solids to pass through, rather than locking up the pump. Impeller bearings use a ceramic material to grind down sand or other particles that are trapped in the pump, allowing them to pass through. The pump is far less susceptible to clogging up and locking, meaning that Sta-Rite Signature 2000 keeps delivering water long after other pumps have given up.